Calling all beef jerky lovers! 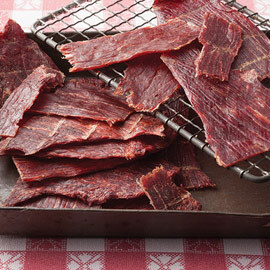 Our 100% beef jerky is sliced thin and cured right here at the Amana Meat Shop. It's a naturally lean snack that is MSG FREE and positively delicious. 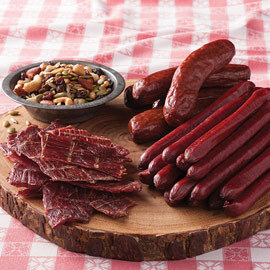 Your family will love Amana Beef Jerky.